Are you ready for some kickball?? Many of us know kickball as a playground game in elementary school. 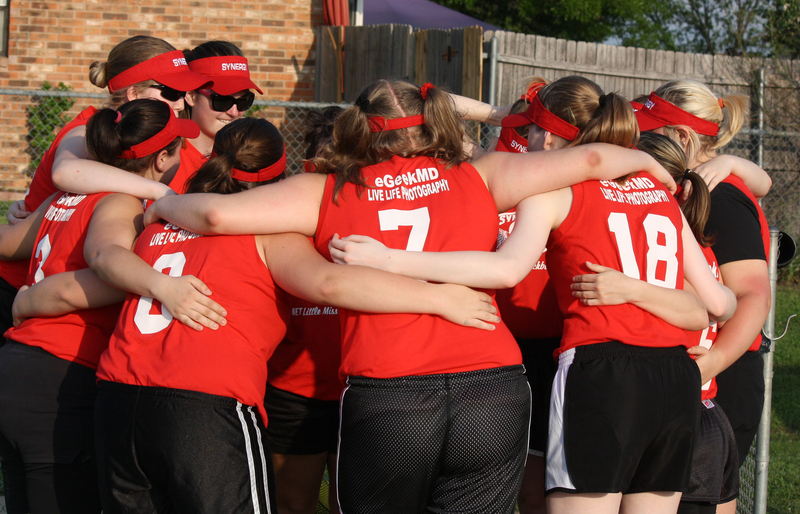 Little Miss Kickball takes it up a notch in Tarrant County. The girls compete in four levels- Pee Wee (ages 6-8), Junior (9-11), Senior (12-14) and Teenage (15-18). Like most junior athletic programs, the sport becomes faster and more sophisticated as girls move up the competitive ladder. “Kickball is really a family affair”, says Andrea Harris. She first got involved over eight years ago when her daughter joined the Pee Wee division and has been coaching for at least six. Fundraising is very important in order to keep the program going. It helps cover field expenses for developing adequate fields for hosting state tournaments. With new fields comes fences, score keeper boxes, score boards, bathroom rentals, dugout and concession stand improvements as well as lights for evening games. ← $8.95 Rush Shipping on Select Valentine’s Day Items!